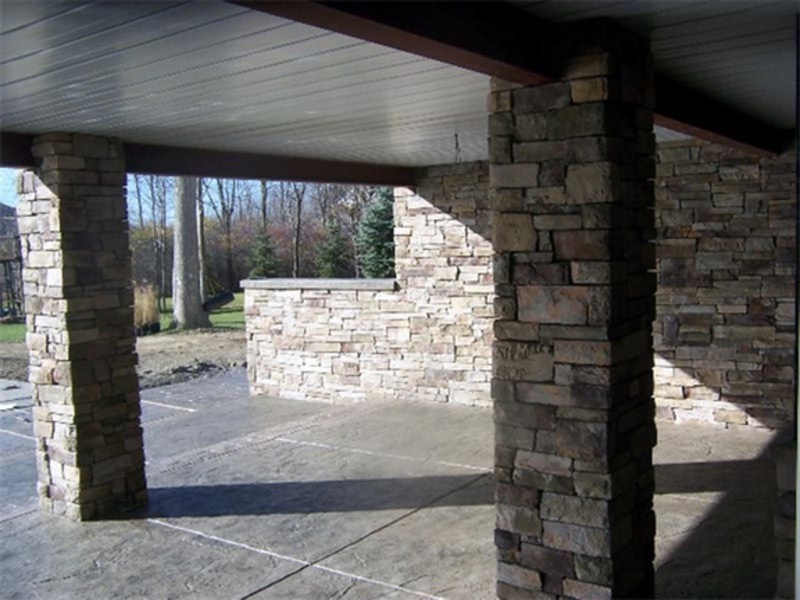 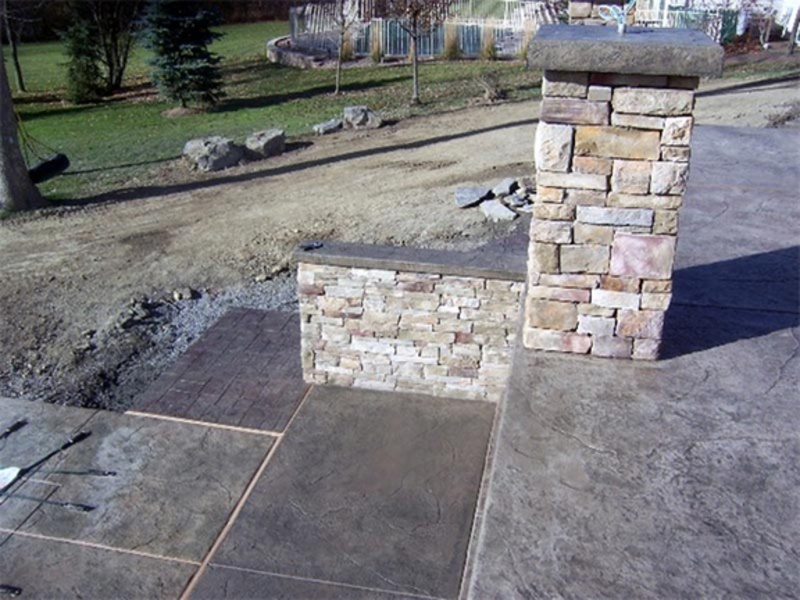 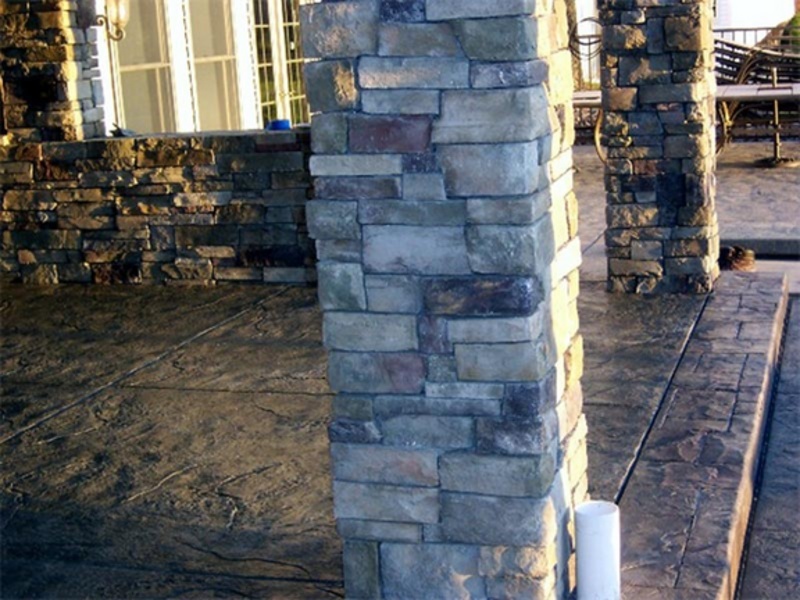 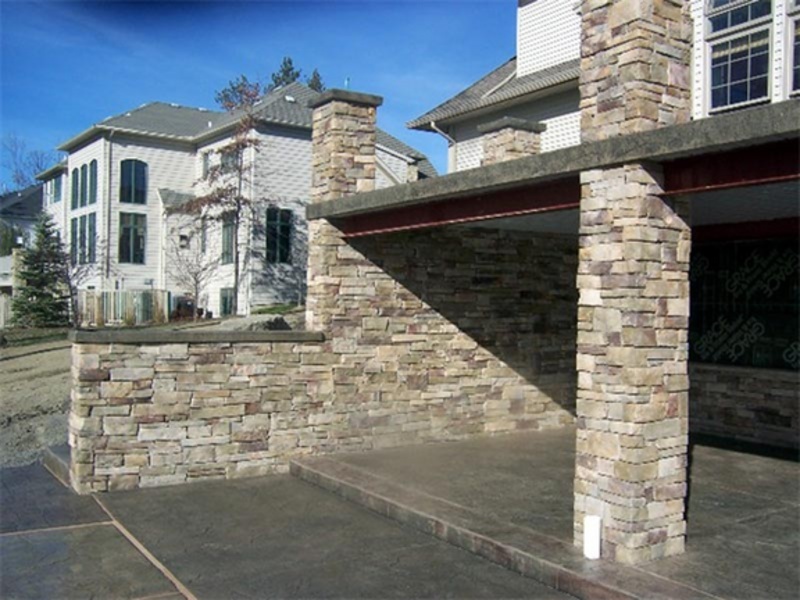 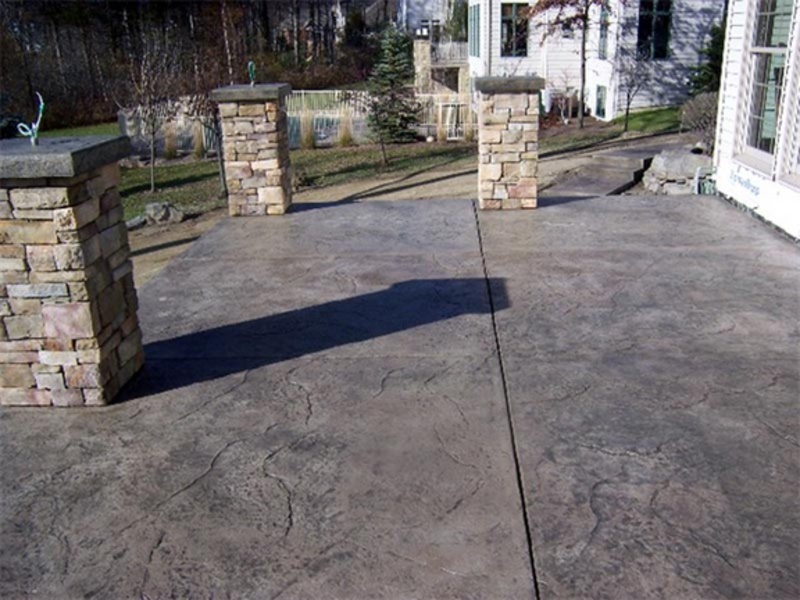 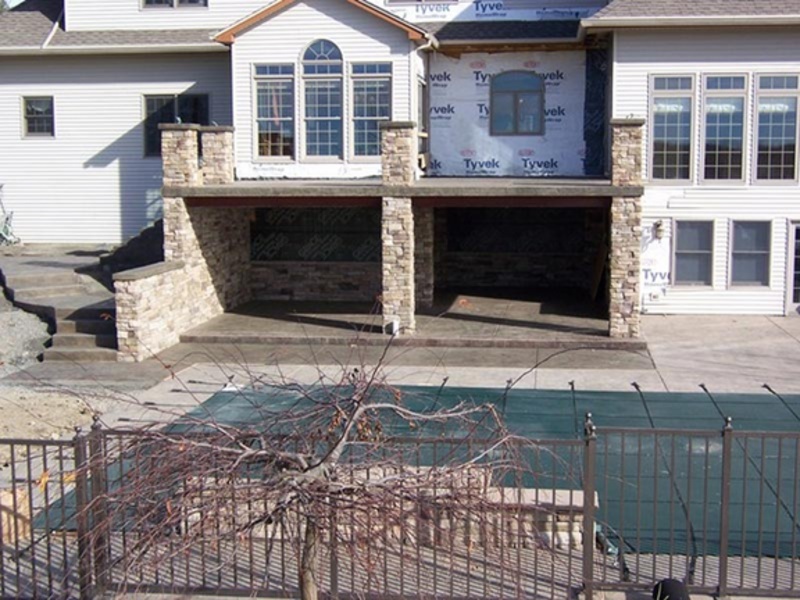 Beautiful 2-Story decorative concrete patio with supporting stone columns and walls using a product that gives you an instant finish ceiling for the bottom level. 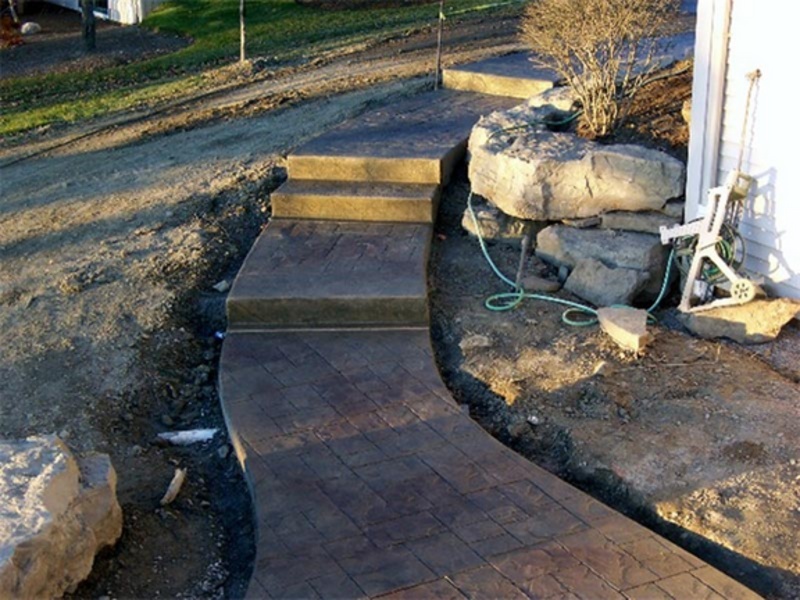 This unique patio has miniumum maintenance and is a excellent alternative to a wood deck. 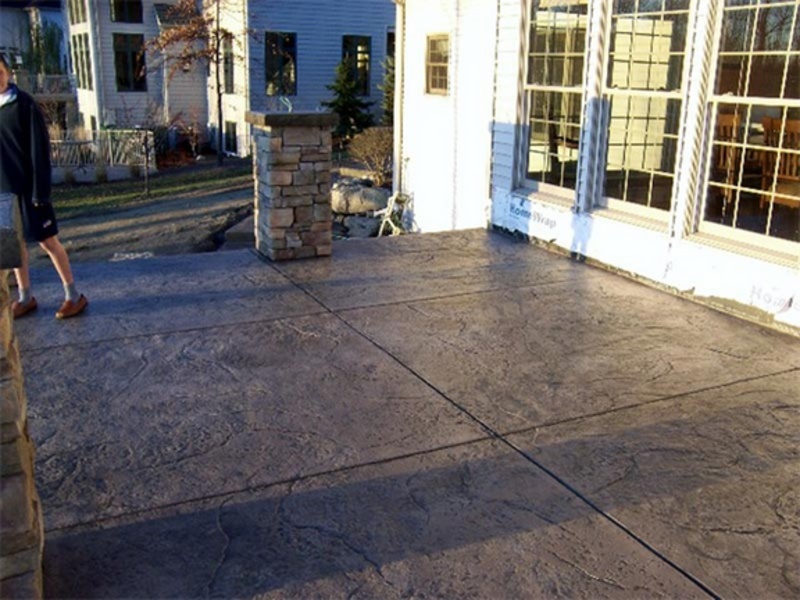 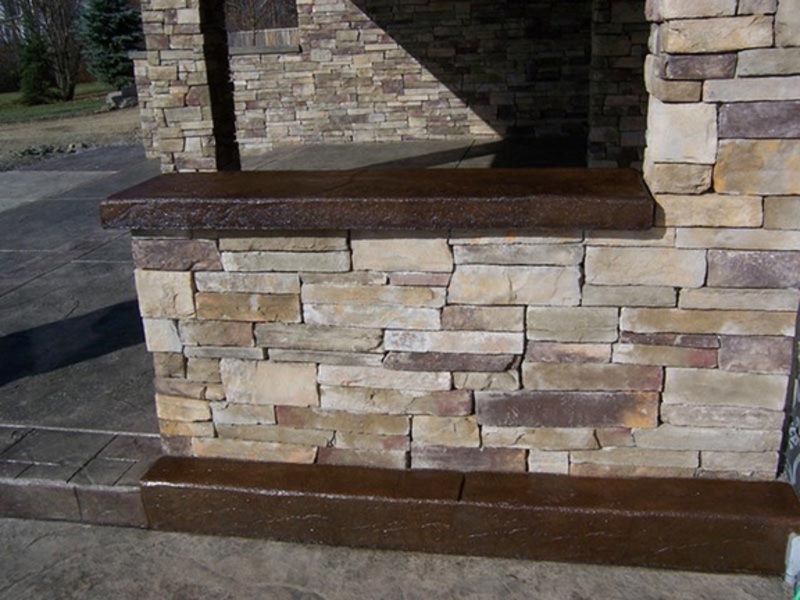 The lower level steps to a decorative concrete pool deck and features an acid stain serving bar. 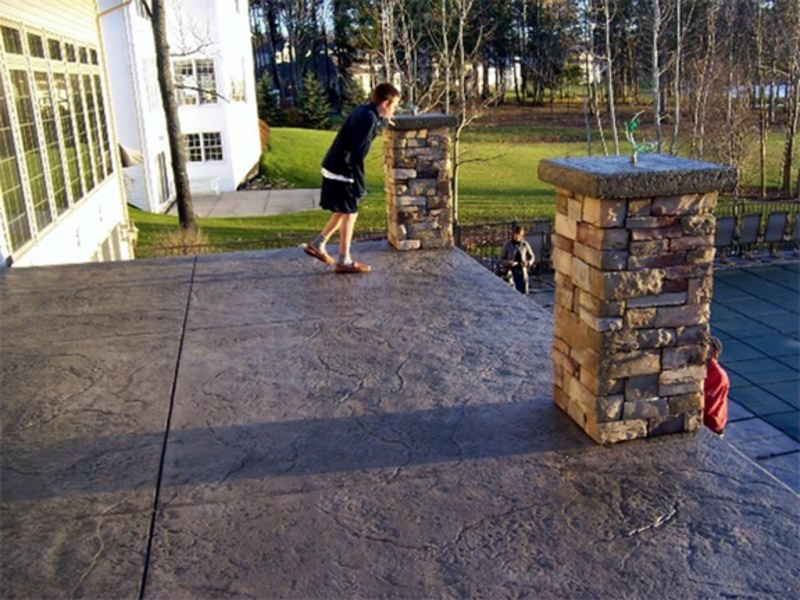 The top floor is poured on a material which doubles as a finished ceiling instantly for the bottom level. 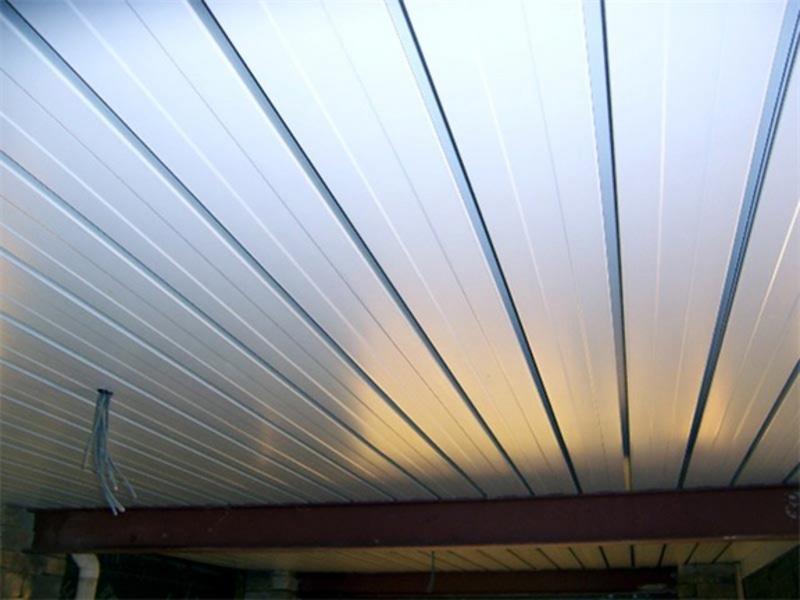 Fans and lighting can be installed easily during construction. 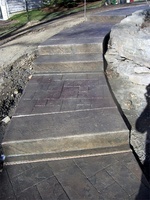 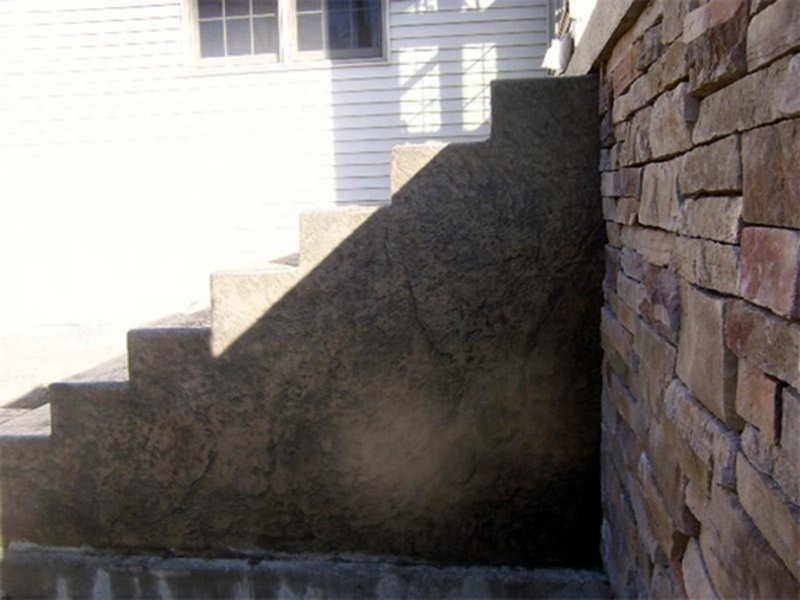 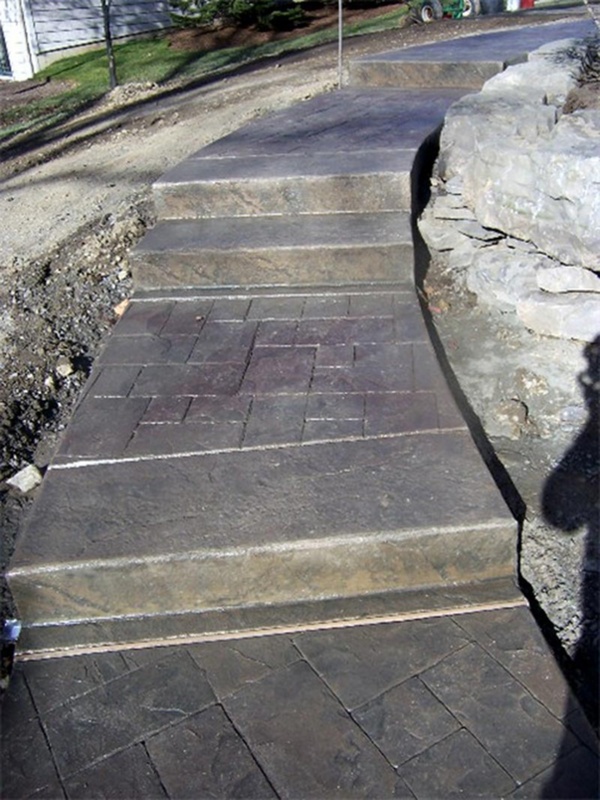 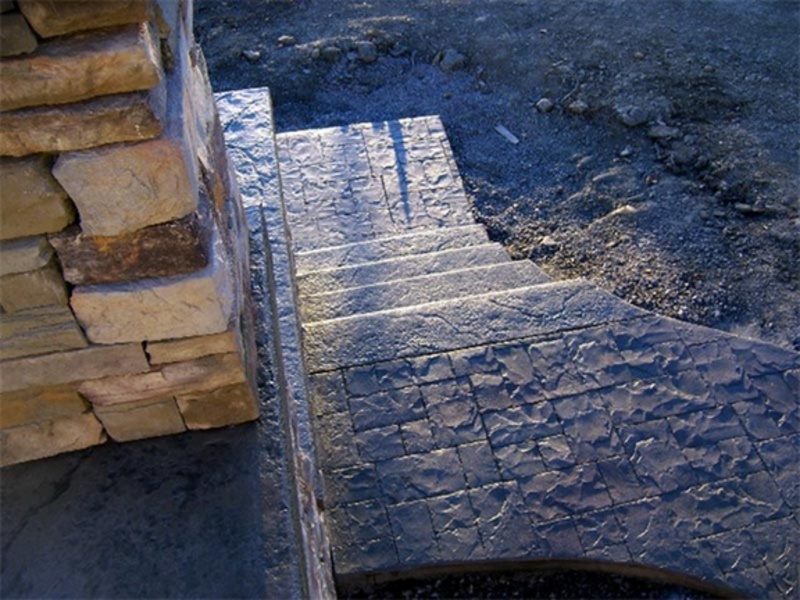 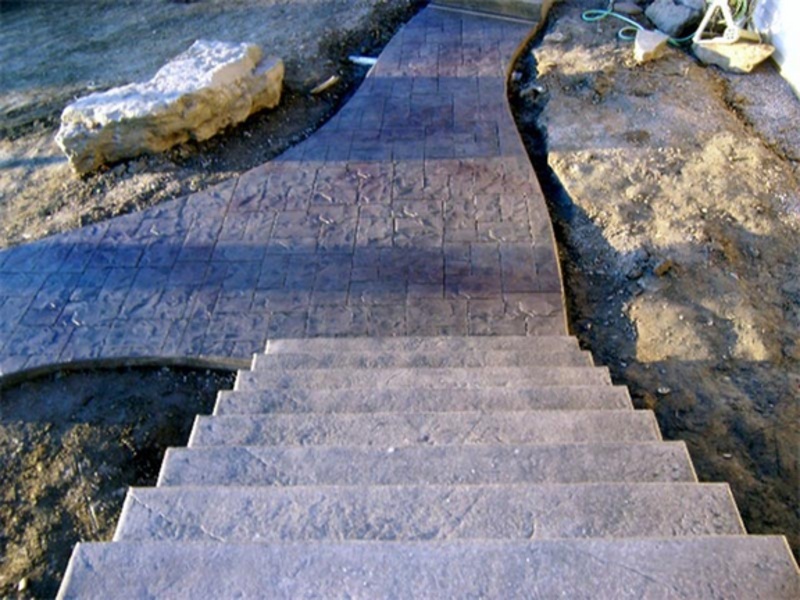 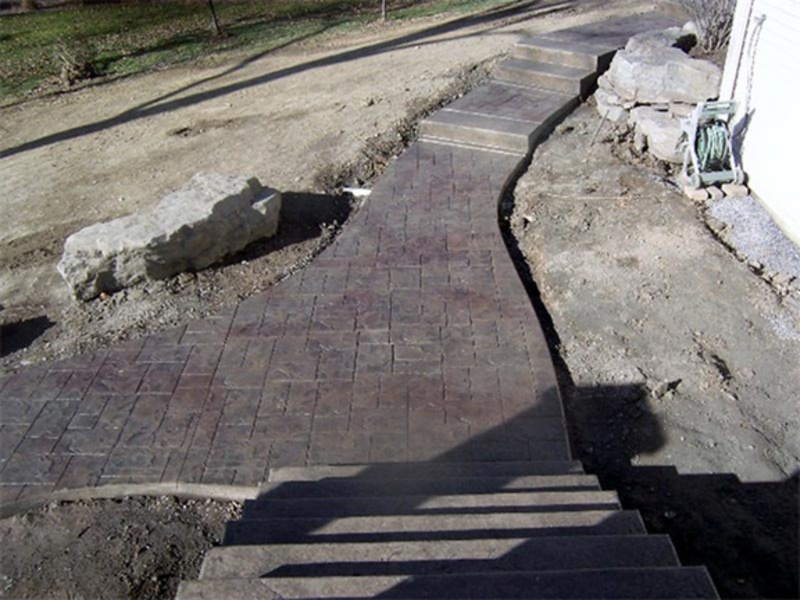 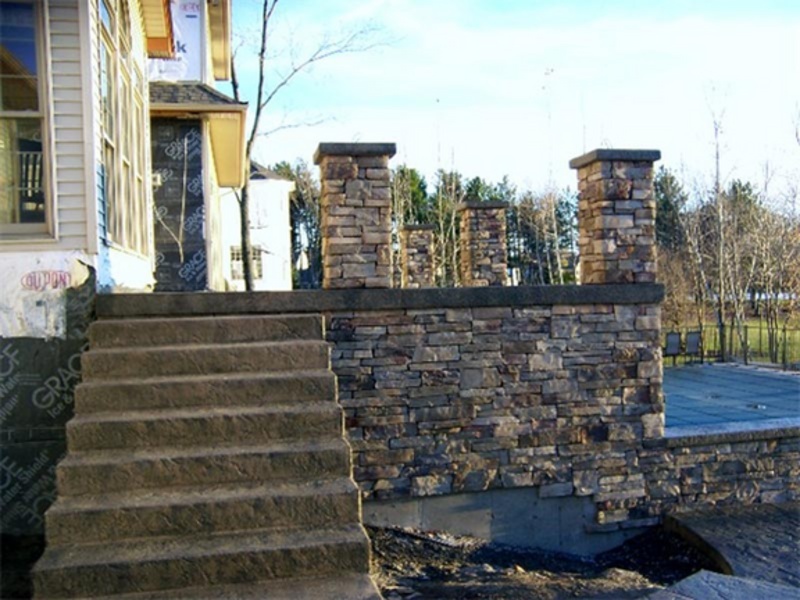 Decorative concrete staircases built for easy access to both levels.